Changing trains at Preston. A hub for north/south and west/east lines. I am heading south. I believe it is true to say we in the UK are proud of our railway heritage. 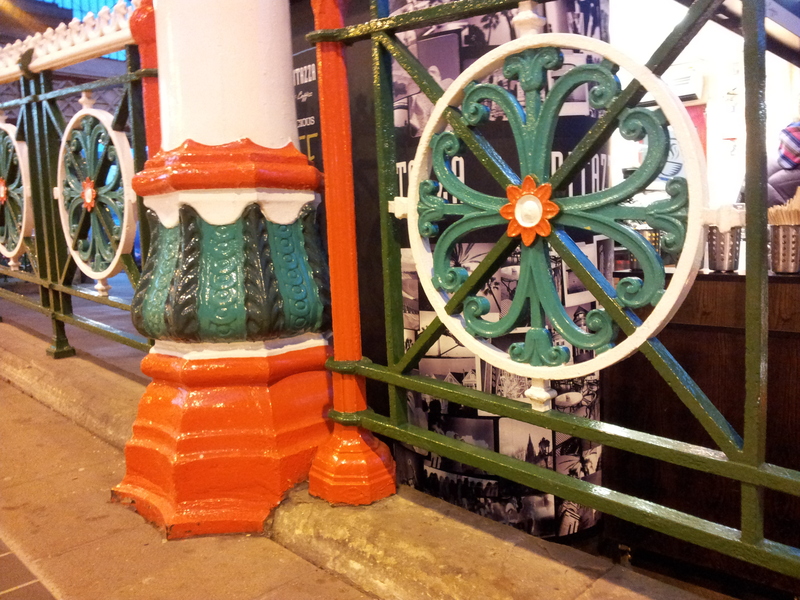 This iron work on the approach to the platforms restored to earlier glory depicts the white red rose, Lancashire’s county flower. But I saw Dharma wheels! Proof that what we see and understand is highly conditioned. See https://en.wikipedia.org/wiki/Red_Rose_of_Lancaster for details on the Lancaster Rose.